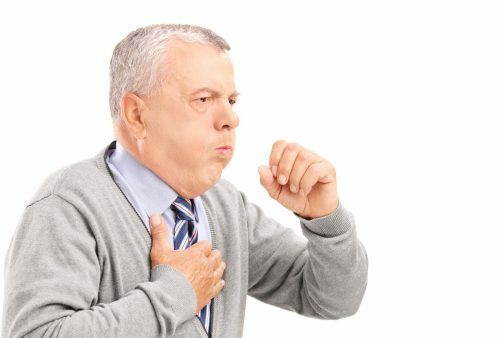 The cold temperatures and changing of the seasons may find you fighting an irritating cough, and while coughing is a natural reflex to help clear your lungs and airways, persistent coughing can be both annoying and painful. Continue reading to learn about what can cause a cough and how you can beat it. A cough may be caused by a variety of factors including a postnasal drip, a respiratory infection, inhalation of dust or smoke, seasonal allergies, and pulmonary disorders such as asthma and chronic obstructive pulmonary disease. They may be either chesty—also known as productive, meaning the cough brings up mucus—or dry, tickling, and irritating to the throat and chest. Depending on the type of a cough you have and its cause, there are a variety of different treatment options available. Home remedies can help reduce and control your cough without the use of medications. If you find your cough is more prevalent at night, try propping yourself up on more pillows to better open your airway and reduce irritation. If your cough is caused by an illness or chest infection, getting plenty of rest is one of the best ways to help your body recover. Also, ensure you are staying hydrated and try drinking cool fluids to soothe your sore throat. Warm water with lemon and honey can also help soothe your throat and ease a persistent cough, and if your cough is dry, a humidifier may help relieve symptoms by adding more moisture to the air in the room. While there is little research backing the efficacy of cough syrups over natural remedies like honey, many still find relief by taking them. A chesty cough that is bringing up mucus may benefit from a type of medication classified as an expectorant. Expectorants are formulated to help loosen mucus in the chest so that it is easier to cough up, with the idea being that you will not have to cough as hard or as deep to get rid of the irritant. If you have a dry cough, doctors recommend that you steer clear of any medications that are considered cough suppressants, as they may prolong your illness and prevent you from coughing up whatever is irritating your chest. Dry coughs may best be soothed by lozenges and staying hydrated. In the majority of cases, antibiotics will not be prescribed for a cough as most coughs are caused by viral infections rather than bacterial ones. Viral infections—such as the flu—do not respond to antibiotics, and overuse of these medications can make them less effective in the long run. While most coughs are fleeting and do not cause any lasting damage or serious complications, in certain instances, it is important to seek the advice of your doctor. If you are coughing up an excessive amount of mucus or have noticed that you are coughing up blood, it may be indicative of a more serious illness such as pneumonia or chronic obstructive pulmonary disease. Also, symptoms such as wheezing and difficulty breathing, fever, unexplained weight loss, and lumps or swelling around your throat or neck may be cause for concern and should be examined by your doctor.